An accessory is considered as being an auxiliary item which complements the leading one, but it is true that in interior design, accessories play the leading role a lot of times. 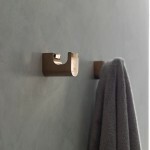 In particular, it is in many designs for the bathroom where accessories provide coherence and aesthetical harmony, as well as a distinctive touch which takes the space into another dimension. The bathroom, as an experiential room, must provide the user with comfort and wellbeing. 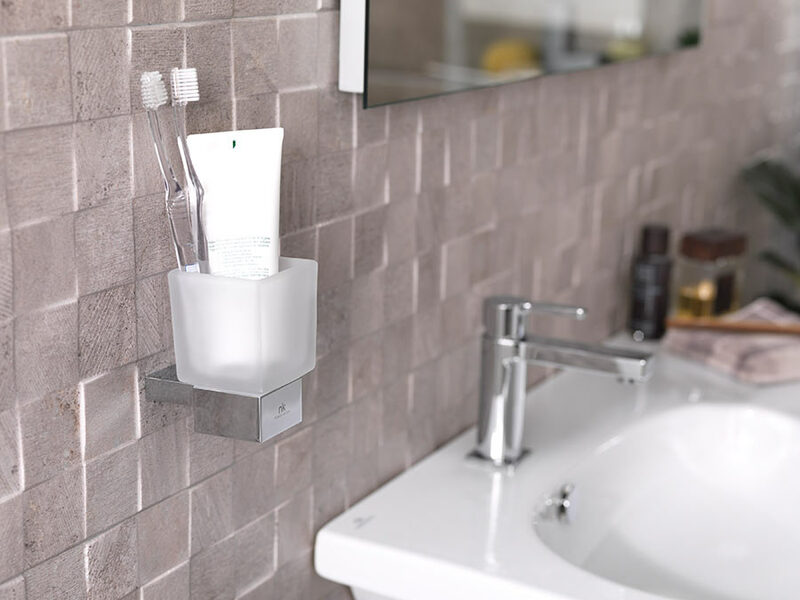 Firstly, banking on comfort is the key to having a perfect atmosphere, by opting for highly practical bathroom equipment which helps to convey a feeling of tidiness and neatness, always together with good lighting. 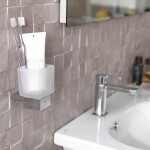 Secondly, as with fashion accessories, bathroom accessories help to create an aesthetics which “sets up” the room, and it provides a harmonious style with regard to the rest of the home décor, along with the user’s lifestyle. The detail itself is not something noticeable at first glance, but it is day after day when those harmonious details make the daily bathroom experience become enriched. 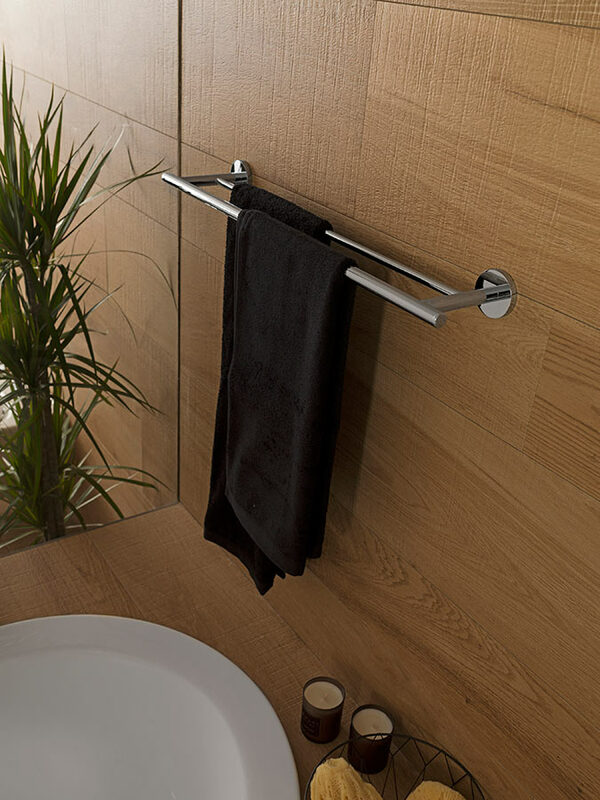 An anti-slip floor which enables the user to get out of the shower easily and safely, a towel rail in the most suitable place, or having enough storage space; these are small details, which as a whole, make the bathroom become a place where practicality and balance dominate. The fact of having everything stored in its own place and in a tidy manner is a must regarding contemporary-styled bathrooms. Touching on minimal aesthetics, everything has its own place in the most cutting-edge bathrooms, and whenever possible, everything remains hidden. The excellent quality of the materials is one of the other points which ensures the user’s comfort, since it results in being of little maintenance and also, the materials remain in the same good condition as ever, therefore, helping the user to avoid having to continuously change the accessories because of their rustiness or loss of beauty. 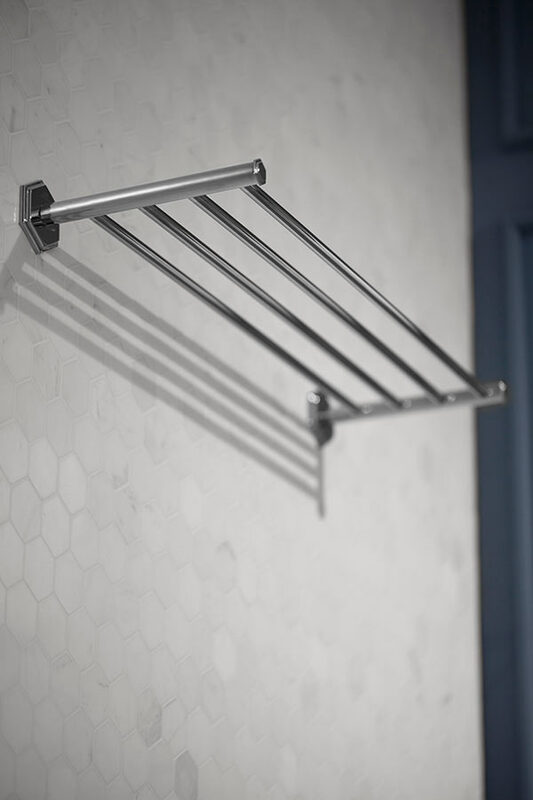 This is the reason why the accessories by Noken are in a Maximum Chrome finish, which provides extra resistance and long durability in wet areas. 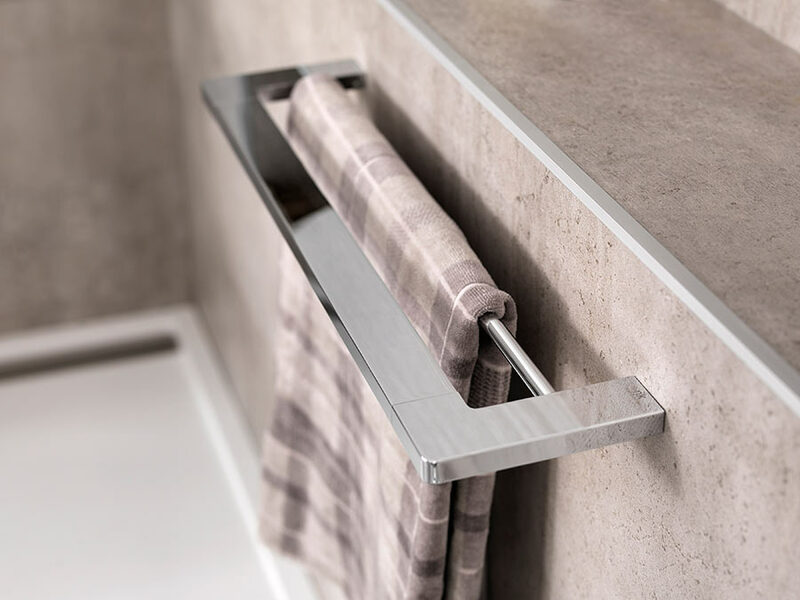 Noken, a specialised firm in bathroom equipment, takes care of its designs in very precise detail, in the firm belief of making a difference, therefore, turning the small daily details into the turning point towards uniqueness. 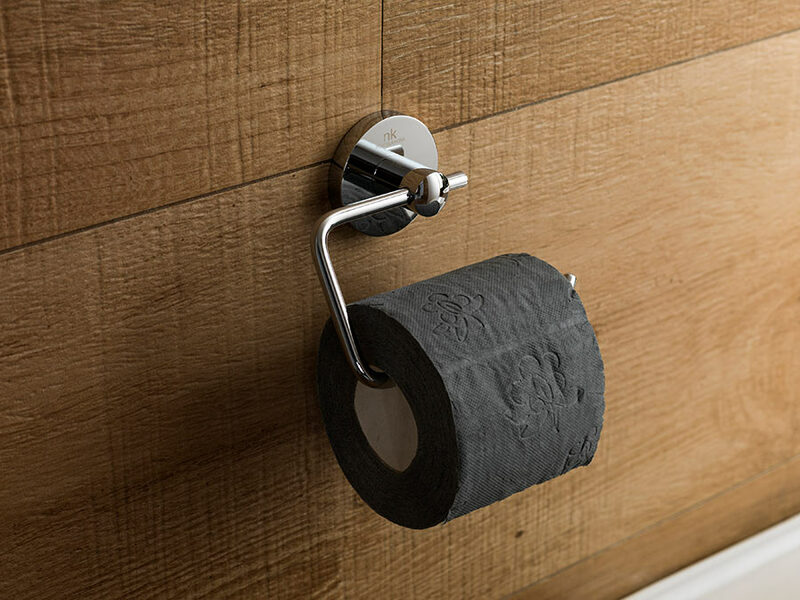 Years ago, a bathroom was considered as a place that we just passed through, so to speak, along with the standardised decoration that used to appear in it. Nowadays, bathrooms have taken on a higher profile in interior design than ever before, and there is a willingness to provide them with a unique personality. In order to achieve this, the accessories will be our best friend when making a distinctive personal space out of a simple bathroom. With regard to tastes, there is never just a single option. 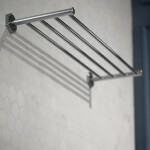 In its quest to offer options to different lifestyles and aesthetical tastes, the firm has a wide range of bathroom equipment collections which adapt to all users. Whenever a classical style is sought after, but without wanting to compromise a contemporary atmosphere, a firm choice is the Chelsea collection, a model which excellently combines both the past and present through vintage-styled accessories in a chrome and a golden finish. However, for a more cutting-edge bathroom, the pure infinite lines from the Forma collection and its several finishes in chrome, copper or titanium; raise minimalism to the maximum exponent. For small sized bathrooms, the practicality and elegance from the Urban-C collection in chrome and white finishes, turn out to be a strong choice, since their reduced designs and sizes can be excellently integrated into any space, and furthermore, they provide the bathroom with visual spaciousness and symmetry. 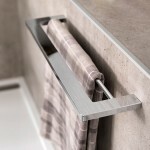 Last, but not least, one of the other accessories which are best highlighted, are the elegant Hotels designs in a chrome finish which provide the bathroom with a touch of exclusivity and luxury; and also the Architect accessories with well-defined straight lines in a chrome and a white finish. As we were dealing with pieces of jewellery, the pieces from the Premium collection stand out because of their exclusivity, elegance and avant-garde design, therefore becoming the most highlighted products from the firm thanks to their highest quality, state-of-the-art technology and their most innovative designs. 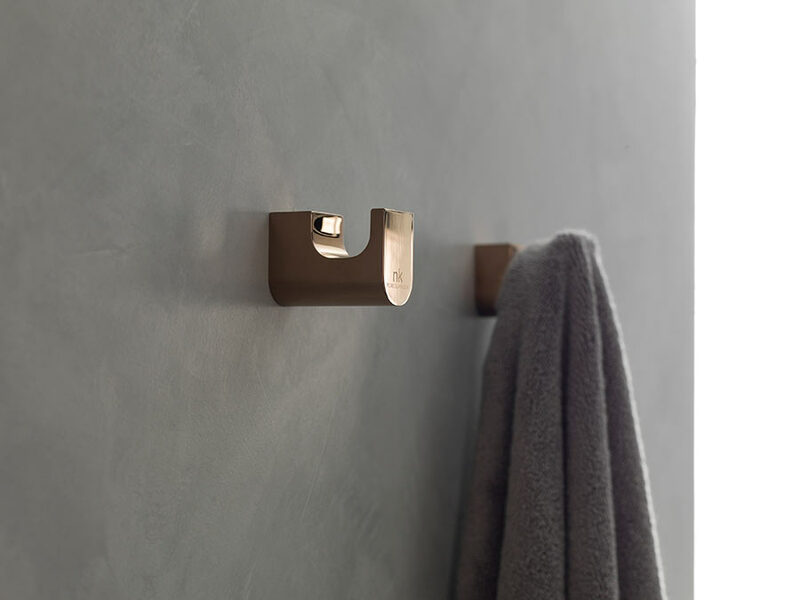 In short, accessories inspiring a new bathroom concept seeking excellence and exquisiteness in each item. Accessories are essential when creating a bathroom atmosphere, since they increase and maximise the performance and the comfort. This way, the light fixtures, apart from being a key decorative element, enhance the practical sense of a bathroom by creating relaxing well-lit spaces. The place where the lights are to be installed, the type of light and the design turn out to be key reasons when opting for the lighting in a bathroom. A lighting fixture must provide either a strong light whenever one needs to see very clearly, or a dim light when there is a desire to provide the bathroom with a cosier and more relaxing atmosphere. The lighting fixtures that are focused on the mirror, as with those from the Hotels collection, favour blocking out the shadows on the user’s face, as well as creating warm uniform lighting in the bathroom. Furthermore, on one hand, its LED-lighting helps the user to be close without getting hot, and it also avoids flashing, whereas on the other hand, it is provided with an instant start, as well as withstanding the continuous changes of being on and off.